No team likes to go through the ordeal of dealing with an actual OR perceived ethical dilemma. Yet they seem to be inevitable in today’s workplace. It could be by a team member, leader, or even a client or customer. 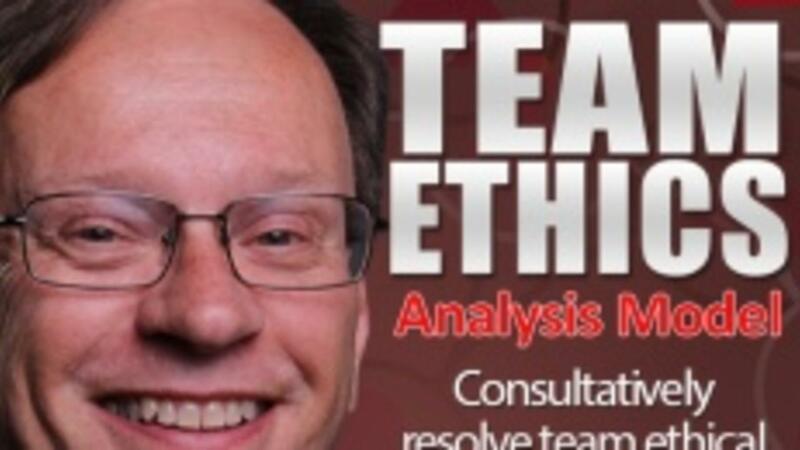 Regardless, this consultative Team Ethics Analysis Model 15 page e-book will walk you and your team through a SAFE method to promptly resolve whatever ethical challenge you may face. AVOID having any ONE member force everyone else into a possibly INDEFENSIBLE POSITION. Learn how to consultatively TEST OPTIONS before deciding what to do. Use the included actual CASE STUDY to practice the entire process BEFORE you need to implement it under short-notice and stressful times. Whether you’re a team lead, member, or supervise multiple teams, take the initiative NOW to help prepare yourself and others with this and other CONSULTATIVE SKILLS educational offerings. It’s the safe, prudent, and right thing to do. While I certainly hope you never have to use this Team Ethics Analysis Model, my 30+ years experience as an entrepreneur and consultant to Fortune 500 clients says otherwise. Depending on your work environment, ethical dilemmas may even be a daily occurrence. Regardless of frequency, it only takes one mishandled case to ruin relationships, careers, and even entire businesses. Invest a little time now to download and read this crucial 15 page e-book so that you can help keep your team well prepared. That is the consultative thing to do, that you appear ready to embrace.